EFA Grantee Sharon Horvath's presents a new online exhibition "COSMICOMICS" that features a series of paintings on view fromOctober 09, 2014 - November 08, 2014. EFA Grantee Sharon Horvath is featured in The Hindu "Ragas in Frame" by Liza George, announcing her upcoming painting exhibition at Lori Bookstein Gallery in New York. 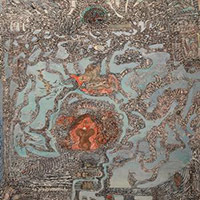 EFA Grantee Sharon Horvath has been awarded a Fulbright U.S. Scholar Grant to study and teach in India beginning December 2013 by Lori Bookstein Fine Art. 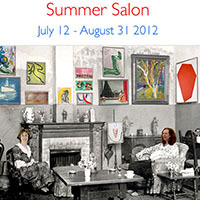 EFA Grantee Sharon Horvath's etchings and monotypes are on view at VanDeb Edition's Summer Salon up until August 31st. Horvath's work will be included in "Summer Edition" at Lori Bookstein Fine Art, New York, NY, "New Space | New Work" at The Drawing Room in East Hampton, NY and "Gallery Artists" at Schoolhouse Gallery in Provincetown, MA.